← acknowledged the existence, validity, or legality of. 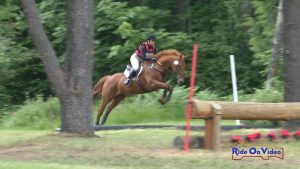 2018 was our first season of Recognized Horse Trials. 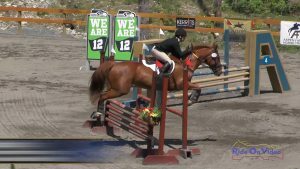 In June we did the Aspen Farms Horse Trials, and it was so incredibly hard. I go to these events by myself, mostly, so don’t have a coach to help me ride or a Mom to go fetch the thing I forgot in the truck. Friday was Dressage and our ride time was late, around 4:30. as the day wore on, Kip got more and more restless, and the weather got darker and darker. Walks were not calming Kip down, and just as I had gotten tacked up for Dressage the skies opened up. In the steady rain, we made our way to the warmup arena. About 25 minutes in to my warmup, I heard from another rider the ring was running 30 minutes behind. It turned out it was really running 45 minutes behind, and the rain just kept steadily increasing. By the time it was our turn in the ring, we were both soaked and cold, and Kip was ready for this ride to be done. I numbly rode through the test, just to get it over with. 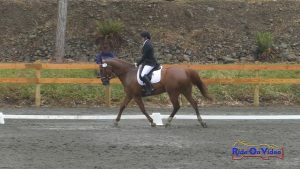 Unsurprisingly I was 17th out of 19 after Dressage. It poured all night long. My tent leaked. My coat was not waterproof. it was terrible. 99 problems, but a ditch ain’t one. Saturday was XC, and Anne came out to walk the course with me. Thank god. She gave me great advice, and talked me off the ledge. We had an awesome XC ride, double clear, and that moved us up to 13th. On Sunday, I got a wonderful surprise, and Scott and some friends came up to cheer me on for my Stadium round. We went double clear again. We were hanging out watching the rest of the riders and chatting when it came time to announce who should go into the ring for awards — lo and behold, my number was called! We moved up to Eighth and got a ribbon! So thrilling to place at Aspen! Wow!